Rejoice with me, my sisters and brothers, for 37 new college preachers were added to the family! 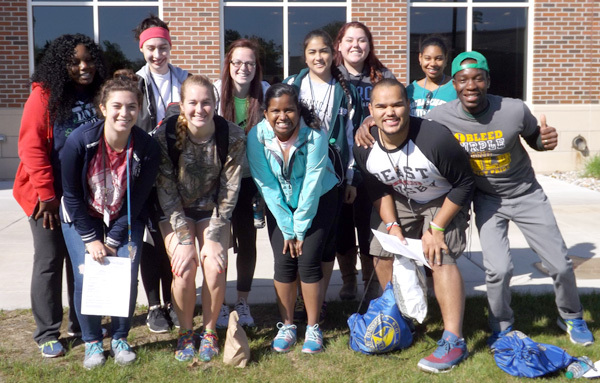 During the week of May 19, 37 students from Dominican universities/colleges or colleges with a Dominican presence gathered at Siena Heights University in Adrian, Michigan for the 13th National “Preaching in Action” Conference. Participating universities/colleges included Albertus Magnus College, Connecticut; Aquinas College, Michigan; Barry University, Florida; Caldwell University, New Jersey; Dominican College, New York; Dominican University, California; Dominican University, Illinois; Edgewood College, Wisconsin; Molloy College, New York; Ohio Dominican University; Ohio, Siena Heights University, Michigan; St. Catherine College, Kentucky; St. Thomas Aquinas College, New York; and Yale University, Connecticut. These young people came together to learn about the Dominican charism of preaching and how that charism can be incorporated into their own lives and passed on to others. They were given the opportunity to experience themselves as preachers using the mediums of art, dance, drama, and music. This year welcomed back St. Catherine College of Kentucky. The conference began with a brief history of Dominic and the Order complete with an array of Dominican songs. There was definitely a Dominican Spirit in the air! A presentation depicting “Dominicans through the Ages” welcomed some of our Dominican Saints to the conference. 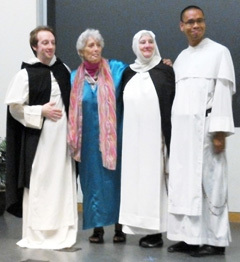 Mary of Magadala, Dominic, Catherine of Siena, and Antonio de Montessino spoke about their lives and their own call to preach in the early years of the Order. Joe Kilikevice, OP highlighted the Interfaith Mission of the Order by introducing the students to dance and song from a variety of different faiths. Sister Lorraine Reaume, OP, introduced us to the Art of Discernment, as she spoke about her journey to religious life. She spoke to the students about the need for discernment in their lives as they prepare for their futures. Danielle Roberts, from Catholic Relief Services, presented some thought provoking information on “Preaching in a Globalized Culture.” The next day Kelly Litt, our Dominican Volunteer working at the United Nations, introduced our young preachers to an overview of the United Nations and the many important issues it is facing in our time. All the presentations were well received and certainly raised the consciousness of our young people. Later on that afternoon we took a trip to the outskirts of Detroit to visit the Henry Ford Museum and Greenfield Village. Both the students and their mentors had a great time and thoroughly enjoyed the outing. A new addition to this year’s conference was an ice cream social with the Adrian Dominican Sisters at their motherhouse. The students loved their interactions with the sisters, and we were hard-pressed to move them on to their next activity. A wonderful time was had by all! The day was concluded with a DJ and some late night dancing! Barbara Schwarz, OP concluded the week’s presentations by awakening the participants to “the Art of Preaching.” Her interactive and hands-on presentation was a great intro to the “Preaching through the Arts” day. Mary Irene Walker, OP, Nancy Murray, OP, Sara Fairbanks, OP, Maria Goretti Brown, OP, Jessica Abejar, a former youth preacher, and Sister Barbara presented additional break-out sessions for the students to use their creative energies. 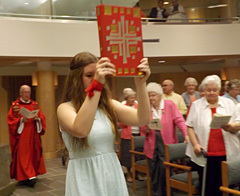 Highlighting the conference are the morning and evening prayer services prepared by the student participants. Students use their creativity, musical talents and gift of voice to lead the entire group in prayer which begins and ends each day. This is but one of the elements of the conference that students enjoy immensely and plan on recreating on their college campuses. 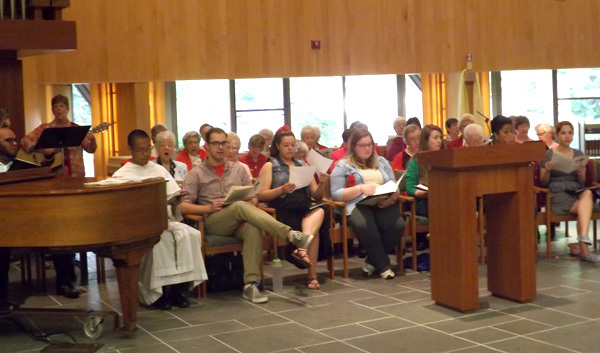 At the closing liturgy, which was attended by many of the Adrian sisters, each college group presented an action step which will be initiated by those who attended, in addition each student presented their individual action plan which is a vehicle for incorporating what they learned at the conference into their own lives and the life of their campus. It was moving to witness each student making a commitment to continuing the “Holy Preaching.” Each then received the Dominican Cross and was commissioned to go forth and preach the “Good News” to their fellow students. As you can see it was a jam-packed week, full of opportunities for study, community, prayer and mission/preaching. Upon leaving, these young people feel part of our Dominican Family and will forever be connected. Wherever they go, they will be preachers of God’s love, God’s peace and God’s justice for all! Next year’s conference will again be held at Siena Heights University in Adrian, Michigan. The dates to put on your calendars are May 24–29, 2016. More details about next year’s conference will be posted online.